Natural Cancer Fighting Tea Combo includes Graviola Tea (40 bags) and Cat's Claw Tea (40 bags). Powerful Antioxidant And Natural Cancer Fighter. Now you can get the most amazing herb Graviola in self brewing tea bags. 1 tea bag 100% of pure Graviola 1800mg. Pure shredded leaves of Graviola (Annona muricata). Teabag: Unbleached paper. 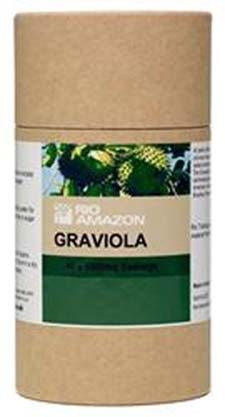 RIO AMAZON has created an exciting new tea made from the leaf of the Graviola tree. Located in Brazil, we can now supply the international demands of our exciting new product. 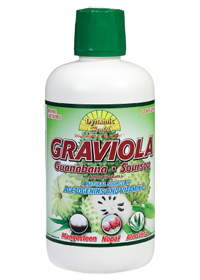 Graviola has long been used by medicine men in the Amazon rainforest. Today the world is starting to take notice and realize the power of the amazing plants that grow there, with Graviola being at the top of the list. With so many studies by top universities and doctors around the world about Graviola and its powerful health benefits, Graviola is taking the world by storm. Helps Arthritis, the Heart and the Liver. 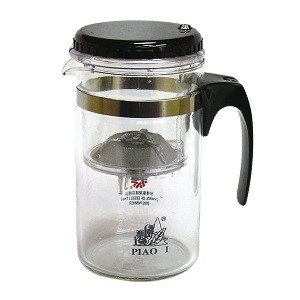 Now, we invite you to become a part of the most exciting and innovative new functional health tea to ever hit the world market. Cat’s claw or ‘Uña de gato’ is a climbing vine that is native to the Peruvian Amazon and gains its name from the barbed ‘claws’ with which it climbs the jungle canopy. Cat’s claw has been used by rainforest tribes to contribute to the immune system and helps to maintain flexible joints, and it is still well known for these benefits today. 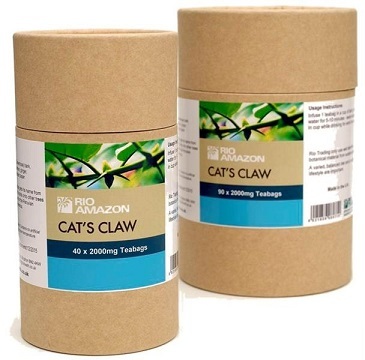 There are many actives in Cat's claw - including alkaloids thought to contribute to the immune system, and a group of chemicals called quinovic acid glycosides. Other actives are carboxyl alkyl esters, sterols (beta-sitosterol, stigmasterol and campesterol) and antioxidants. Cat’s claw is a bitter herb, which is why Rio Trading Cat’s claw teabags contain added Cinnamon, Ginger, Cardamon and Orange peel, giving the tea a pleasant, warming taste, making it ideal for the cold winter months. 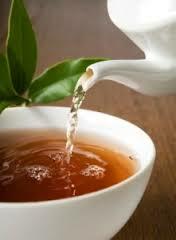 The loose tea contains no additives, but spices can be added to taste. Used For its Anti-inflammatory Antioxidant and Anticancer properties. Cat's Claw is a tropical vine that grows in rainforest and jungle areas in South America and Asia. Some cultures refer to the plant as the "Sacred Herb of the Rain Forest". This vine gets its name from the small thorns at the base of the leaves, which looks like a cat's claw. These enable the vine to attach itself around trees climbing to a heights up to 100 feet. A large woody vine known as cats claw (Uncaria tomentosa (Wild.) DC.) is today one of the most regarded beneficial plants of the rainforest. The inner bark of the vine is used to make a tea which is used traditionally by Ashaninka shamans. Oxindole alkaloids and quinovic acid glycosides in the vine have shown health-enhancing effects. In addition, cats claw is rich in proanthocyanidins, which are potent antioxidants. . Extract is concentrated to provide strength, ease of digestion, and rapid assimilation. The plant is considered a valuable medicinal resource and is protected in Peru. Although scientific research has just recently begun to explore its benefits, many cultures native to the South American rain forest areas have used this herb for hundreds of years. Current studies show it may have positive effects on, and can boost the body's immune system. The active substances are alkaloids, tannins and several other phytochemicals. Some of the alkaloids have been proven to boost the immune system. The major alkaloid rhynchophylline has anti-hypertensive effects and may reduce the risk of stroke and heart attack by lowering blood pressure, increasing circulation, reducing heart rate and controlling cholesterol. Other constituents contribute anti-inflammatory, antioxidant and anticancer properties. Many treatments combine the herb with different plants and natural products to increase the absorption and bioavailability. It has long been used as a homeopathic treatment for intestinal ailments. Uses include: Crohn's disease, gastric ulcers and tumors, parasites, colitis, gastritis, diverticulitis and leaky bowel syndrome. By stimulating the immune system, it can also improve response to viral and respiratory infections. It is also used in the treatment and prevention of arthritis and rheumatism, as well as diabetes, PMS, chronic fatigue syndrome, lupus, and prostate conditions. Cat's claw is a plant. Two species of cat's claw, Uncaria tomentosa and Uncaria guianensis, are of primary interest for use as medicine. Uncaria tomentosa is most commonly used in the U.S., and Uncaria guianensis is typically used in Europe. Medicine is made from the root and bark. Cat's claw was ranked as the seventh most popular herb in U.S. sales in 1997. 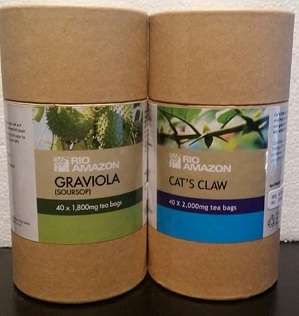 "Graviola Soursop and Cats Claw Tea Combo Pack" The More You Buy The More You Save! PLEASE NOTE: NO CLAIMS ARE MADE OR IMPLIED THAT GRAVIOLA / Cats Claw OR ANY OTHER PRODUCT ON OUR WEB SITE CAN DIAGNOSE, CURE, MITIGATE, TREAT OR PREVENT CANCER OR ANY OTHER DISEASE. ALL INFORMATION IS PRESENTED FOR YOUR INFORMATION ONLY AND NOT MEANT TO BE MEDICAL ADVICE. WE DO NOT PRESENT Cats Claw AS A DRUG. ORDER ON LINE OR CALL TOLL FREE 1-877-291-8263.